In March, the U.S. Environmental Protection Agency announced plans to dramatically weaken the first-ever federal regulations—created in 2015—to regulate how coal ash is disposed of and stored across the country. Coal ash is the toxic byproduct of burning coal for electricity. More than 130 million tons of coal ash are produced annually, and the Southern Appalachians are where the most egregious coal ash spills in the country have occurred. Although only three years old, the coal ash rules are under attack, along with many other environmental protections, from the head of the EPA, Scott Pruitt, and the changes are not modest. 5. 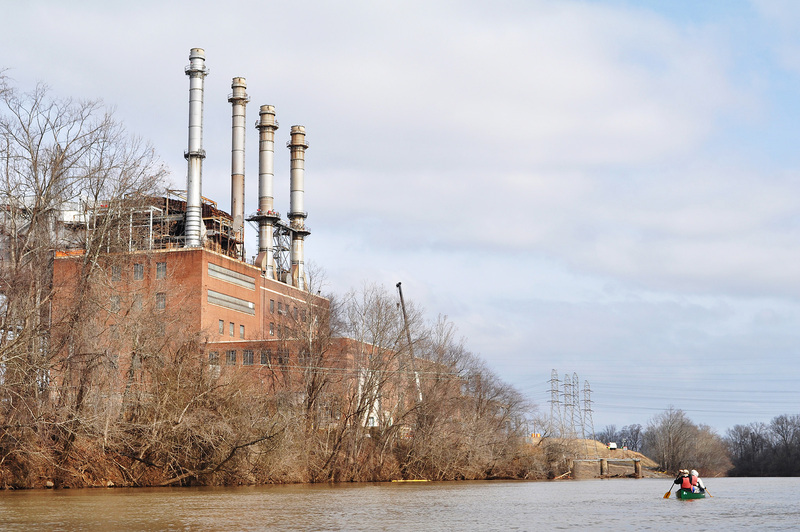 Remove the requirement to post compliance data, leaving citizens in the dark even after the same data revealed widespread radioactivity in coal ash ponds. Pruitt stated this proposed change would allow states to “incorporate flexibilities into their coal ash permit programs,” and the EPA projects it would save utilities up to $100 million a year. The cost to the environment and the communities adjacent to these unlined toxic pits, however, doesn’t seem to be a consideration to either the EPA or the private utility monopolies. In addition to the threat of weakening these coal ash rules, Pruitt halved the typical 90-day public comment period to just 45 days. In April, Appalachian Voices’ North Carolina team carried the testimonies of three North Carolina mothers who have been impacted by coal ash to the EPA hearing in Arlington, Va. The women’s testimonies relayed their personal experiences of the burdens and fears of living on bottled water and the concerns they have for their health and the health of their communities. They asked that the protections put in place by the 2015 federal rules not be removed or altered. Another opponent of the change is Frank Holleman, an attorney with the nonprofit law firm Southern Environmental Law Center, who states that weakening the rules is a dangerous move. North Carolina is in an interesting position because the state already has protective legislation in place through the 2014 Coal Ash Management Act, which dictates much of the disposal and cleanup requirements for coal ash ponds in the state. In addition, state agencies are now proposing to introduce new coal ash rules on the state level that would incorporate requirements to mirror the federal rules that the EPA proposes to remove. Ideally, the state rules will provide DEQ the authority to protect public health and the environment and enforce their own regulations in a way that can’t be manipulated by Duke Energy’s political pressure. A state rule— without loopholes— that can establish protective, clear groundwater standards (especially for hexavalent chromium) as well as pressure Duke into having a shorter timeline to address problems would be a great first step. While the extent to which federal changes would affect North Carolina’s rules remains unclear, Dave Rogers with the Sierra Club’s Beyond Coal Campaign states that a strong EPA rule is necessary. “It’s really important to have that kind of strong federal backstop in case anything does change at the state level, as we’ve seen and experienced in North Carolina,” Rogers said. The final draft of the state rules will be submitted in July, followed by a 60-day public comment period.